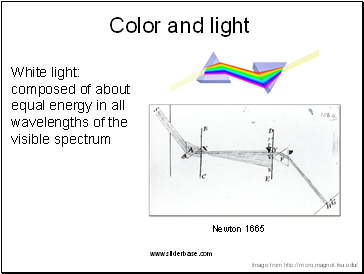 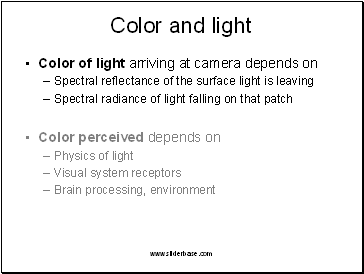 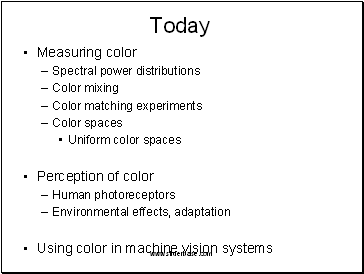 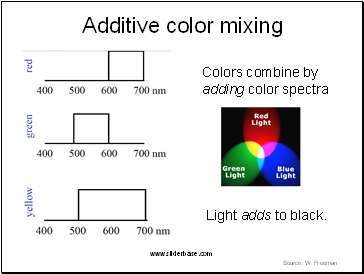 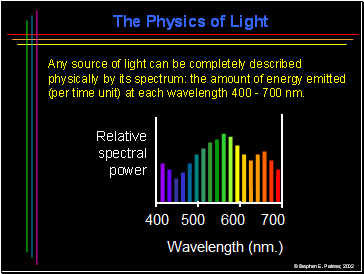 The result of interaction between physical light in the environment and our visual system. 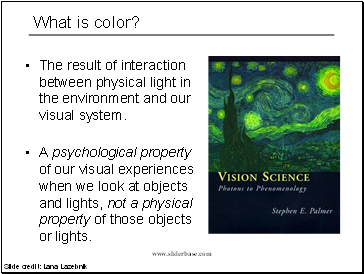 A psychological property of our visual experiences when we look at objects and lights, not a physical property of those objects or lights. 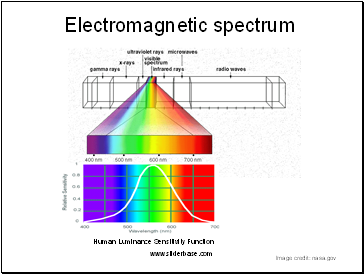 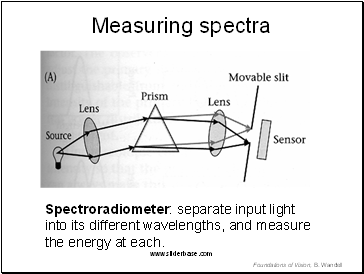 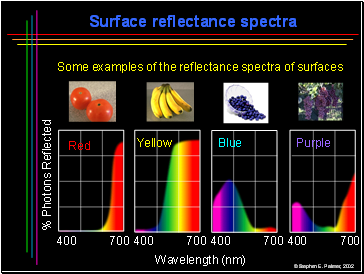 Spectroradiometer: separate input light into its different wavelengths, and measure the energy at each. 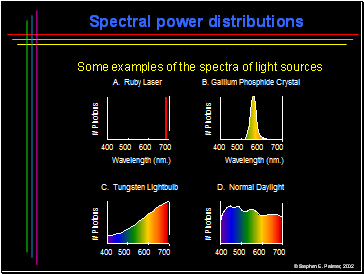 (per time unit) at each wavelength 400 - 700 nm. 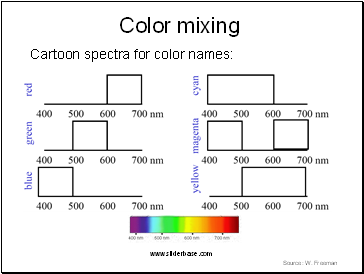 How to know if people perceive the same color?